April 21, 2017: Israel has tweaked (modified) the software in its two AWACS (Airborne Early Warning Aircraft) so the CAEW (Conformal Airborne Early Warning) radar system can spot small, low flying UAVs as well as manned aircraft. These CAEW aircraft were developed in Israel and the first one entered service in 2008. This AWACS uses a long range business jet (the 40 ton Gulfstream G550) and Israeli made radar and electronics. The Israeli Air Force operates two CAEW AWACs and three similar ELINT (electronic intelligence) aircraft based on the slightly smaller G500 aircraft. The CAEW AWACS has also been sold to Italy, Singapore and the United States. Tweaks for improved performance or new capabilities (finding UAVs) are frequent for Israeli military systems because Israel is constantly under attacks (or threat of attack) and gear it makes for itself is constantly being used and improved. This is very attractive to many potential foreign buyers. The CAEW AWACS carries a Phalcon conformal (it is built into the lower fuselage) phased array radar plus SIGINT equipment (to capture and analyze enemy electronic transmissions) and a communications system that can handle satellite signals as well as a wide array of other transmissions. There are six personnel on board to handle all this gear, plus the flight crew. The Gulfstream G550 used for this can stay in the air for nine hours per sortie and can fly at up to 13,200 meters (41,000 feet). The G550 is a larger version of the Gulfstream G400, which the U.S. Army uses as the C-20H transport. The U.S. Coast Guard, Air Force, and Navy also use militarized Gulfstreams (usually as C-37Vs). The 30 meter (96 foot) long aircraft has two engines and was built for long flights (over 11,000 kilometers). Current Gulfstream G550s cost about $50 million each. The Phalcon radar is, in some respects, superior to the one used in the American AWACS. For example, Phalcon uses a phased array radar (thousands of small radar transmitters are fitted underneath the aircraft). The phased array radar, in combination with the latest, most powerful computers and other antennas for picking up a variety of signals, enables Phalcon to be more aware of what electronic equipment (airborne or on the ground) is operating up to 400 kilometers away. The phased array radar allows positions of aircraft on operator screens to be updated every 2-4 seconds, rather than every 20-40 seconds as is the case on the United States AWACS (which uses a rotating radar in a radome atop the aircraft). The first Phalcon system was fitted on a Boeing 707, although somewhat limited versions could be put onto a C-130. On a larger aircraft you can have more computers, and other electronics, as well as more human operators. But the major advantage of the Phalcon is that it is a more modern design. The U.S. AWACS dates to the 1980s and has undergone upgrades to the original equipment. The Israeli air force first installed Phalcon radar systems in an old Boeing 707 but the G550 replaced it. MQ-9 Reaper with GBU-38 JDAMs loaded. CREECH AIR FORCE BASE: The Air Force has added the Joint Direct Attack Munition (GBU-38) a GPS-guided bomb, to the Reaper drone force, dropping the first one in a combat strike in Operation Inherent Resolve on Thursday. Lt. Col. David, director of the Creech Wing Operations Center, told me in a Friday morning interview that the weapon had been used for the first time roughly a week after a final test drop. (We were allowed to quote him on the condition we didn’t publish his last name). Col. Case Cunningham, the 432 Wing Commander here, tweeted this morning that the strike was an “historic milestone.” This expands the aircraft’s weapons mix of Hellfire missiles and GBU-12 Paveway II bombs. The use of the JDAM marks a potentially important expansion of the drone’s combat capability, pushing it closer to the weapons mix — though not the capacity — of a so-called fast mover fighter like the F-16 or F-15. The GBU-38 can be either guided to the target or dropped on pre-programmed coordinates. The Paveway is guided to the target. Given the great and recent expansion in the use of the Reaper for danger-close Close Air Support (CAS) missions in Syria and Iraq, adding another guided munition to the mix should increase the ability to strike better protected targets and keep collateral damage to buildings and people as low as possible. In Libya, some 70 percent of the Reaper strikes were danger-close, meaning US, allied and coalition forces were so close together any strike carries with it a higher chance of killing or wounding friendly forces, Lt. Col. David noted. Hellfire and Averageamerican like this. sources of electronic warfare jamming directed to disrupt the munitions' guidance. The home-on-GPS jam (HOG-J) seeker works similar to the AGM-88 HARM to follow the source of a radio-frequency jammer to destroy it. 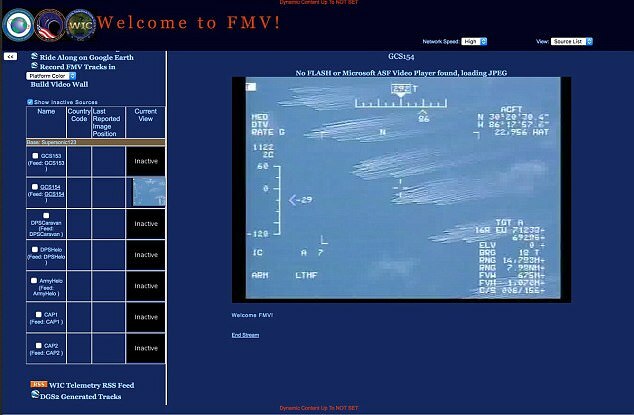 In January 2016, the Air Force awarded a contract to Scientific Systems Co. Inc. to demonstrate the company's ImageNav technology, a vision-based navigation and precision targeting system that compares a terrain database with the host platform's sensor to make course corrections. ImageNav technology has demonstrated target geo-location and navigation precision greater than three meters. In January 2016, Orbital ATK revealed that the Alternative Warhead (AW), designed for the M270's GMLRS to achieve area effects without leaving behind unexploded ordnance, had been successfully tested on the SDB. Although unit costs were somewhat uncertain as of 2006, the estimated cost for the INS/GPS version was around US$70,000. Boeing and the Italian firm Oto Melara have signed a contract covering the license production of 500 GBU-39s (INS/GPS) and 50 BRU-61/a racks for the Aeronautica Militare, at a cost of nearly US$34 million. US$317m was spent on R&D and spares for SDB II in FY13/14, with US$148.5m requested in these categories for FY15, the total budget split roughly 70:30 between USAF and USN. SDB II production began in FY14 with 144 bombs for the USAF at a unit cost of US$250,000. The FY15 budget requested 246 bombs at a cost of US$287,000 each. When the Pentagon approved the SDB-II for production and deployment in May 2015, it had a unit cost of US$115,000. Bomb (SDB), a GPS-suided glide bomb whose design and pinpoint accuracy gave it the same penetration capabilities as a 2000 lb. BLU-109, while enabling US aircraft to carry eight times as many of them. The SDB is considered to be a key Air Force transformational program, with an overall value that could be as high as $2.7 billion. US is building these by the 10s of thousands. Hellfire and BMD like this. I Have been watching drones along the beach lately. Military drone recordings were accidentally streamed on the internet. The US government appears to have accidentally streamed footage of a military-style drone. The video appears to be recording thousands of feet above northwest Florida, over the coast, with the camera aimed at random civilian boaters. Experts have deduced that the footage came from Predator drones, which are primarily used by the Air Force and CIA to record an area right before a missile is dropped. DRONES ARE GETTING TO BE A BIG BUSINES. In less than a decade, this could be a $10 billion market -- or more. When drones attack. Image source: Getty Images. For years, it seemed the U.S. had a near monopoly on military drones capable of launching missiles and dropping bombs from the air -- primarily, Predator and Reaper drones from General Atomics, supplemented by a few smaller Shadows from Textron (NYSE:TXT). Lately, however, hunter-killer drones are popping up in the most surprising places. Next door in Spain, the local military has also placed orders for four Reaper drones -- and plans to weaponize those as well. Now, the U.S. State Department appears to be preparing to declare open season for armed military drone sales around the globe. As reported last week by DefenseNews.com, "top agency officials" from the U.S. State Department have been meeting with delegates "from various nations" to try to agree on a set of global principles governing the sale and use of armed drones internationally. Among these, countries exporting armed military drones would be expected to apply existing arms control laws to the sale of armed drones, consider a recipient country's record as a responsible actor before approving a sale, and "ensure [that armed drones, once sold are] used responsibly by all States." In essence, the "Proposed Joint Declaration of Principles for the Export and Subsequent Use of Armed or Strike-Enabled Unmanned Aerial Systems (UAS)" would commit signatories to abiding by the same guidelines the U.S. applies when weighing foreign sales of its own military weapons. In that regard, the State Department announced in February of 2015 a relaxation of America's own policy on military drone exports. If enough countries agree to the Proposed Joint Declaration, the U.S. government plans to open the document up for signing, perhaps at United Nations meetings on October 3. "As other nations begin to employ military UAS more regularly and as the nascent commercial UAS market emerges, the United States has a responsibility to ensure that sales, transfers and subsequent use of all US-origin UAS are responsible and consistent with US national security and foreign policy interests, including economic security, as well as with U.S. values and international standards." That's the U.S. government's official position -- advocating the Proposed Joint Declaration in order to ensure the responsible use of drones by countries that were going to buy them anyway. But at the same time, America's efforts will help to grow the export market for armed military drones -- to the benefit of the U.S. defense contractors, who currently lead the world in their production. Most of the major defense contractors already maintain surveillance drone programs. In addition to Textron and General Atomics, mentioned above, Northrop Grumman (NYSE:NOC) and Lockheed Martin (NYSE:LMT) have offered to build armed drones for the U.S. military. So why would America open up the market to sales outside its borders? The defense market experts at IHS Jane's estimate that in 2014, $6.4 billion worth of (mostly unarmed) drones were sold globally. In less than a decade, the global market for drones of all stripes will exceed $10 billion in value. After over 2 years in space, advanced US re-entry X-37B Orbital Test Vehicle spacecraft successfully landed at NASA's Kennedy Space Center. According to the US Air Force, the X-37B Orbital Test Vehicle is "the newest and most advanced re-entry spacecraft." This was the fourth flight of this vehicle. Boeing started the secret X-37B Orbital Test Vehicle project under NASA's aegis in 1999. Originally, the reusable X-37 was intended to repair satellites in orbit. However, in 2004 the program was classified and handed over to the US Air Force. Since 2010, the spacecraft are carrying out test orbital flights. According to experts, X-37 can be used both for testing new technologies and for the delivery of reconnaissance satellites into space. Potentially, they can be equipped with weapons, but the Pentagon assures that this is not part of its plans. The X-37B program is the newest and most advanced re-entry spacecraft that performs risk reduction, experimentation, and the concept of operations development for reusable space vehicle technologies. On March 20, 2015, a United Launch Alliance (ULA) Atlas V rocket successfully launched the AFSPC-5 satellite for the US Air Force from Space Launch Complex-41. A MQ-9 Reaper UAV has dropped a GBU-38 Joint Direct Attack Munition (JDAM) at a range in Nevada, USA for the first time. By adding the JDAM to the UAV's arsenal, operators will have a greater opportunity to track targets in bad weather as it utilizes a GPS-guidance system instead of the laser-guided munitions that are currently used, like the AGM-114 Hellfire and GBU-12. The JDAM is also liked by aircrews as it takes ten minutes less to load when compared to the GBU-12, taking 20 minutes to load instead of 30. Shipyard Huntington Ingalls has launched the second ship in the America-class of amphibious assault ship 13 weeks ahead of schedule. The future USS Tripoli can carry 12 Osprey aircraft and six F-35s and is fitted with .50 caliber machine guns and 20mm CWIS cannons. It can also support AV-8B Harriers, Cobra attack helicopter, cargo carriers, and other equipment. More America-class vessels are expected to be built in 2018, with the next vessel to be named after the WW2 Bougainville campaign. USAF F-22 Raptors have completed a series of operational tests as part of massive upgrades to the fighters. During the tests, the aircraft fired inert AIM-9 and AIM-120 missiles against multiple BQM-167A sub-scale aerial targets, a "significant effort" along the 3.2B initial operational test and evaluation upgrade timeline, the Air Force said, adding that the added capability enhances the service's air superiority but did not offer specifics. The F-22s are due for a weapons systems upgrade in Summer 2019, which will include enhanced target location capabilities and new antennas for the aircraft's stealth abilities, among other developments. By Irene Klotz | CAPE CANAVERAL, FLA. The U.S. military's experimental X-37B space plane landed on Sunday at NASA’s Kennedy Space Center in Florida, completing a classified mission that lasted nearly two years, the Air Force said. The Boeing-built space plane blasted off in May 2015 from nearby Cape Canaveral Air Force Station aboard an Atlas 5 rocket built by United Launch Alliance, a partnership between Lockheed Martin Corp (LMT.N) and Boeing Co (BA.N). The X-37B, one of two in the Air Force fleet, conducted unspecified experiments for more than 700 days while in orbit. It was the fourth and lengthiest mission so far for the secretive program, managed by the Air Force Rapid Capabilities Office. The orbiters "perform risk reduction, experimentation and concept-of-operations development for reusable space vehicle technologies," the Air Force has said without providing details. The cost of the program is also classified. The Secure World Foundation, a nonprofit group promoting the peaceful exploration of space, says the secrecy surrounding the X-37B suggests the presence of intelligence-related hardware being tested or evaluated aboard the craft. The vehicles are 29 feet (9 meters) long and have a wingspan of 15 feet, making them about one quarter of the size of the National Aeronautics and Space Administration’s now-retired space shuttles. Sunday’s landing was the X-37B's first in Florida. The three previous landings took place at Vandenberg Air Force Base in California. The Air Force relocated the program in 2014, taking over two of NASA’s former shuttle-processing hangars. The Air Force intends to launch the fifth X-37B mission from Cape Canaveral Air Force Station, located just south of the Kennedy Space Center, later this year. While we are still scratching our ... er .. somethings to figure out which aircraft to buy - this is where US moved! Abingdonboy and Averageamerican like this. The US Navy has reached the first round of testing of its Unmanned Carrier Mission Control System (UMCS), with an aim to validate its software, communications, advance electro-optical camera, as well as to determine how well the system software and hardware linked up with carrier-based networks. Includeing various versions of the Navy Sea Systems Command's Common Display System and the Common Control System, UMCS is an upgraded and adapted version of what is used on the Navy's new Zumwalt-class destroyer. The final goal will be to allow unmanned drones to refuel Navy strike fighters reliably from aircraft carriers, in addition to the standard roles of reconnaissance, attack missions and electronic-warfare missions. The X-37B is a much simpler version of what's been planned by many other countries. Hypersonics is a field that is likely more important than nuclear weapons. The Chinese have their own next gen fighter aircraft, it will fly into space etc. India has two, one civilian under ISRO, and one military under DRDO. The British have one civilian system called Skylon. The French also want one for the military. The Russians plan to have two programs. A hypersonic space bomber and a space fighter. Naturally, the Americans also have these plans. One example is the SR-72. IMHO, both the Americans and the Chinese will be the first to achieve this new technology. While the Russians will probably keep up. Are the Americans ahead? Yes. According to open source information. But the Chinese, Russians, Indians, Europeans and Americans plan to field a functional hybrid engine, a combination of turbofan/turbojet and ramjet/scramjet, between 2025 and 2030. Zhang Yong, a CASTC engineer, claimed that China will master the spaceplane's technologies in the next three to five years, and a full-scale spaceplane would then enter service by 2030. ISRO has similar plans that they want to accomplish by 2030. A 40m spacecraft that can launch 10000 to 20000 Kg into LEO. 20 to 30 years behind the USA, sounds about right. The U.S. Air Force is testing, apparently successfully, installing EW (Electronic Warfare) equipment on its MW-9 Reaper UAV. One of these EW items, a RWR (Radar Warning Receiver) may become standard equipment and Reaper operators appreciate something that will warn them that hostile radar is looking at them. This sort of thing was expected to eventually happen with the Reaper, which was designed as a combat aircraft. The MQ-9 Reaper is a 4.7 ton, 11.6 meters (36 foot) long aircraft with a 21.3 meters (66 foot) wingspan that looks like the MQ-1. It has six hard points, and can carry 682 kg (1,500 pounds) of weapons. These include Hellfire missiles (up to eight), two Sidewinder or two AMRAAM air-to-air missiles, two Maverick missiles, two 227 kg (500 pound) smart bombs (laser or GPS guided.) Max speed is 400 kilometers an hour, and max endurance is 15 hours. The Reaper is considered a combat aircraft, to replace F-16s or A-10s. The RWR on the Reaper should be no surprise. In 2016 the air force developed a 15 day training course for MQ-1 (Predator) and MQ-9 operators (pilots) to qualify them as “Electronic Combat Officers.” This meant that the air force is finally equipping its larger MQ-1 and MQ-9 for EW (electronic warfare) missions. These two UAVs are large enough to carry some of the electronic sensors and jammers regularly used in missions seeking electronic information (ELINT) or for combat (SEAD). U.S. Navy and Air Force commanders have long wanted to turn over SEAD (Suppression of Enemy Air Defenses) missions to UAVs. SEAD is the most dangerous mission for combat pilots. But until a few years ago, all these UAV projects had either been cancelled, or were headed in that direction. That appears to be changing. Details on SEAD aircraft are usually kept secret, or at least not publicized. But it is obvious that Reaper is large enough, in theory, to also carry a pair of the latest anti-radar missiles. These are the AARGM which weighs 361 kg (794 pounds) and can detect and attack targets more than 150 kilometers away while travelling at a speed of 2,450 kilometers per hour. It is more likely that the MQ-9 and MQ-1 would carry lighter missiles that can act as decoys to divert the attention of enemy radars. Meanwhile the air force has apparently settled on an eventual successor for the Predator. This is Avenger, which looks like a larger jet powered version of the Reaper. Avenger is 13.2 meters (41 feet) long, with a 20.1 meter (66 foot) wingspan, and built to be stealthy. The V shaped tail and smooth lines of the swept wing aircraft will make it difficult to detect by radar. There is a humpbacked structure on top of the aircraft for the engine air intake. There is an internal bomb bay to hold about a ton of weapons, sensors, or additional fuel to provide another two hours of flying time (in addition to the standard 20 hours endurance). The 4,800 pound thrust engine is designed to minimize the heat signature that sensors can pick up. Total payload is 1.36 tons (3,000 pounds) and total weight of the aircraft is nine tons. Cruising speed is 740 kilometers an hour. The Avenger is designed to fly high (up to 20,000 meters/60,000 feet) and cross oceans. Until 2009 the Avenger didn't officially exist and was a "black" (secret) program. Avenger is, like Reaper, a combat UAV that will often carry weapons as well as sensors. 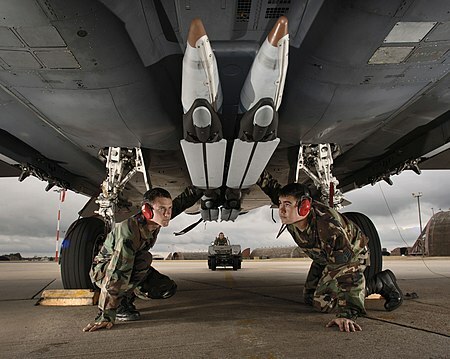 The air force likes the ability to arm Avenger with a smart bomb, including the 900 kg (2,000 pound) GBU-34 penetrator version. Each Avenger costs over $15 million. The Avenger B would probably be a little larger and more expensive. The air force has not yet revealed their wish list of changes for Avenger B. A UAV like Avenger would require the same kind of EW equipment carried by manned warplanes. Meanwhile all this attention to stealth for Avenger should be no surprise. The Avenger manufacturer, General Atomics, has a division devoted to building stealth features into aircraft. This includes the world's largest indoor radar cross section testing facility. Despite the bomb bay, the Avenger is expected to be used primarily to carry ground surveillance radar, which could be mounted on the bottom of the aircraft in an aerodynamically smooth enclosure. The U.S. Navy, and several air forces, are also looking at the Avenger as an ELINT (electronic intelligence) aircraft. The ability to carry a ton of sensors and stay in the air for twenty hours per sortie has a lot of appeal for an aircraft that is already stealthy and doesn't carry a pilot. Moreover, the Avenger can perform ELINT missions entirely autonomously, making it more difficult to detect.